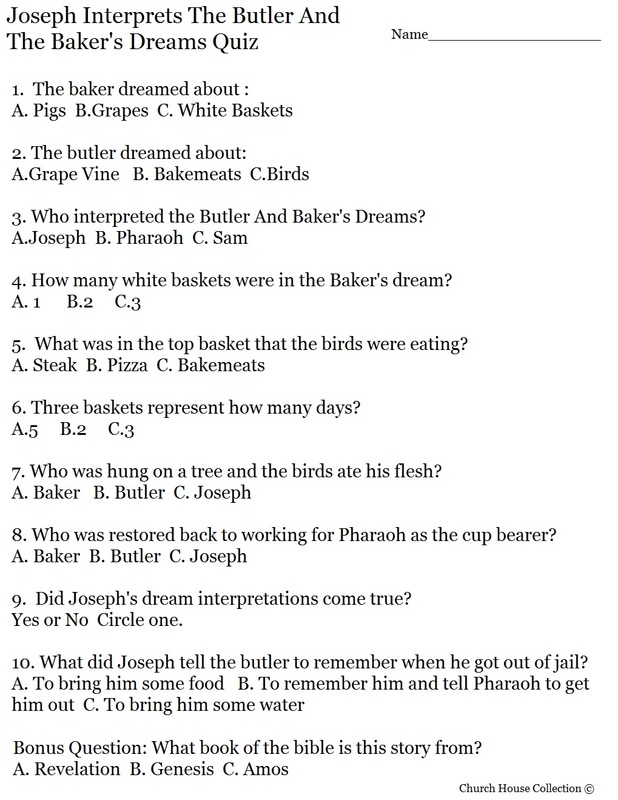 Here is a printable quiz over Joseph Interprets The Butler And The Baker's Dreams. Teach this lesson from Genesis 40:1-23. 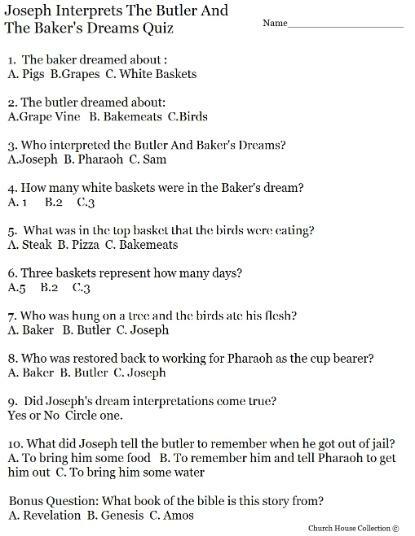 Joseph went to jail and while he was there two men were thrown in there with him- The Butler And The Baker. These two men both had dreams one night and Joseph told them what their dreams meant after he asked them to tell him their dreams. In three days the dreams came true. Let the kids see how much they learned after you tell them the bible story. There is a bonus question at the bottom. Give them 5 points if they get this one right. Give them a sticker on their paper for trying or stamp their paper with a cute ink stamp and hand the kids back their papers after you grade them in class. You could try getting some flavored stamps that smell good.